On Thurs. 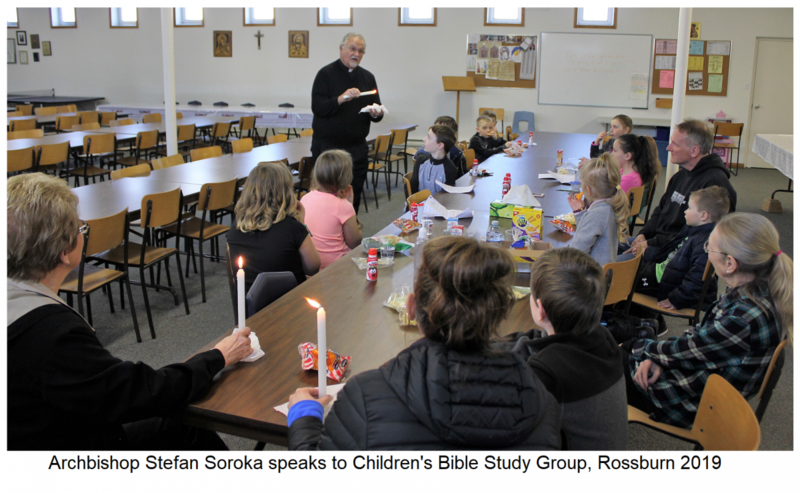 March 21st, the Children's Bible Study at Sacred Heart Church Rossburn, were blessed with a visit from Archbishop Emeritus Most Reverend Stefan Soroka who gave us a teaching about the light of Christ using 3 lit candles as a visual aid. 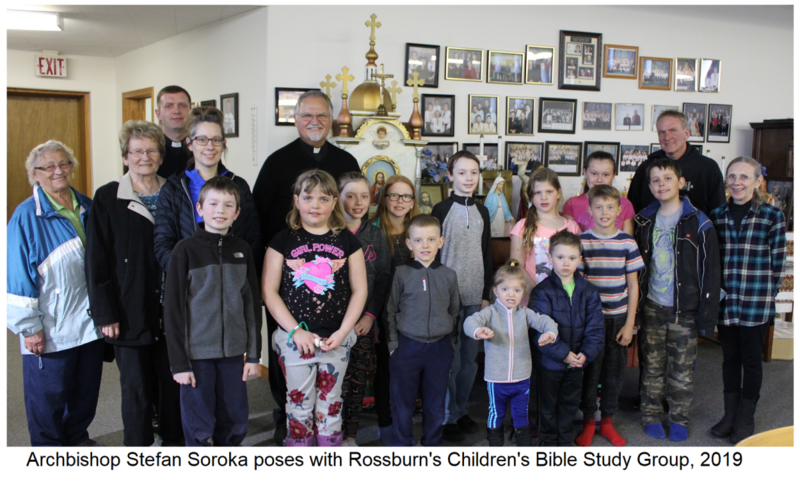 We learned what can cause the light to go out within our hearts, the messiness of sin, and what we need in our lives to allow this Precious Light to be relit, to burn brightly and how we need to also be a light for others. We learned from personal experiences of the Archbishop how we must never become too busy to stop and listen to the whispers of Jesus speaking to us through our circumstances. We then went up to the Church and prayed the Stations of the Cross after which the Archbishop gave us his Blessing. Thank you, your Grace and thank you, Fr Mykhaylo for this very special gift of your time! We love you!